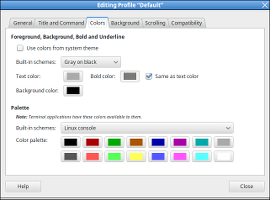 This page explains some sorted-out steps for customizing Linux Mint 17.2 "Rafaela". Turn your freshly-installed OS into an elegant, usable system that can be enjoyed by anyone. The steps in this Configuration Guide will bring a freshly-installed Linux Mint machine to a point where an average non-expert computer user will be happy to use it as their daily-driver desktop. Someone with moderate computer experience will find the system easy to figure out and they won't need much, if any, assistance. Of course, Power Users also appreciate a stable and efficient user experience. For them, it will be a good starting point for further customization. Why this particular version of GNU/Linux? For starters, because it works extraordinarily well and it's supported until 2019. 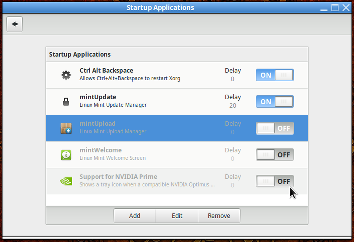 I can understand why Mint is the most popular Linux Desktop. 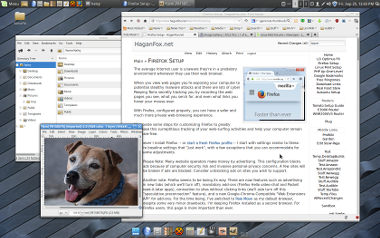 I've tried many, many different Linux distributions, both in the past and recently. This "distro" is highly refined and fully capable. It's a pleasure to use. This procedure does take some time. Be assured, your patience and tenacity will be rewarded. At the end of installing Mint Rafaela, Cinnamon Edition from DVD or a Bootable USB drive, you'll be prompted to reboot. That's our starting point. A freshly-installed system has its firewall disabled and NO security updates, so the first thing we'll do is enable the firewall and get the system updated. As an extra measure of precaution, disconnect your freshly-installed system from the network before (re)booting it. If your computer is on a "friendly" network it's not absolutely necessary to do this (but it wouldn't hurt). Unplug the network cable or turn off the wireless adapter. Alternatively you can temporarily unplug the router. Similar to Ubuntu, a firewall is not enabled by default when you install Linux Mint. You should enable the firewall. This goes double if your computer is a laptop that will be connected to untrusted networks. Developed to ease iptables firewall configuration, ufw provides a user friendly way to create an IPv4 or IPv6 host-based firewall. By default UFW is disabled. Open a terminal (Menu -> Terminal). Note: We'll use the terminal (CLI - command-line interface) throughout this guide. Once the system is configured the CLI is rarely, if ever, necessary. Note: The sudo command is used to run other commands that require administrative privileges (root privileges) as the user root. It stands for "(s)ubstitute (u)ser and (do)", and is pronounced "soo´-doo". See also: Sudo in a Nutshell and the Sudo Manual. Re-connect to the network if you previously disconnected. This will pull together a list of available updates for your system and apply all of them, including dependencies. It'll take a while because a lot of packages will have updates available. You'll be prompted about changing /etc/issue, /etc/issue.net, and /etc/lsb-release . Don't change them (just press enter when prompted). You can customize your desktop while the updates are installing. 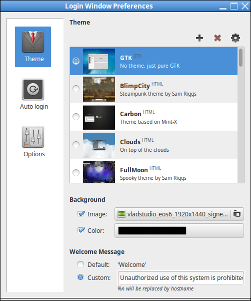 Cinnamon's "Panel" is similar to Windows' taskbar. We'll move it to the top and make the size a little bigger, then we'll and add some useful "panel applets" and program-launcher icons. Soon we're going to add a useful dock (a simple dock that works similar to MacOS's) at the bottom of the desktop. Moving the panel up to the top works better, even without a dock. By default the panel is small. On most screens it's easier to use if it's slightly bigger. The default panel applets are useful. We'll customize the date and add a few more helpful applets to the notifications area ("system tray") of the panel. Customize the Calendar applet's time display. Manage and recover your recently-deleted files. Switch among your virtual desktops. Quickly return to recently-used documents. 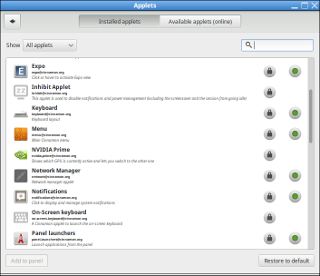 Install two other applets using the Available applets (online) tab. Once they're installed, add them to the the same way as the others. You can rearrange the applets. You can add icons to the quick-launch area of the panel, near the menu. I like to add Text Editor and Calculator. Once installed, they can be rearranged without turning on Panel edit mode. Here are some other improvements you can make while your updates are being applied. Activating Cinnamon's Hot Corners feature allows you to perform actions by moving your mouse into the corner. You can undo the action by moving the mouse in a second time. Try these settings in Settings -> Preferences -> Hot Corners. Here are some theme tweaks to change in Settings -> Themes . Slide the Size slider over to about two-thirds of the way across. The default terminal colors make some things hard to read and the Menubar is hidden. Show the menu in the terminal. Use the Menubar to get to Profile Preferences. Uncheck "Use colors from system theme"
I slide the transparency over a little bit to keep distractions from showing through. Cinnamon's deceptively powerful file manager is called Nemo. Its default settings can be improved a bit. Open the file manager (e.g. Menu -> Files. (optional) Set the default view to List View, sorted by date. Set a screen-lock delay and show the day, date, and time on the lock screen. I never leave default desktop wallpaper as-is for very long. Right-click on the desktop and select "Choose Desktop Background". Select one you like. ProTip: For years my favorite place to find wallpaper images has been Vladstudio. If your wallpaper in monitor's size isn't available free, choosing a bigger size sometimes works nicely. Note: Be sure you've rebooted and set up Firefox before you do much web surfing. If you haven't done that yet, wait and download wallpapers later. You can set any image file as your wallpaper using the Nemo file manager. Switch to an AM/PM clock. Uncheck "Use 24 Hour Clock"
The default Login Window's theme (Mint-X) displays a flashy slideshow and no welcome message. If you prefer a minimalist version, go with Numix instead. For a home computer, you could substitute Welcome to % as a message so it displays "Welcome to <computer name>.". There's no sense starting programs we won't use, so we'll go into settings and turn off some things that needlessly start up when we log in. (*) I don't have an nVidia video card. If you do, leave the nVidia Support turned on. Some non-free firmware is used by Linux kernel drivers that can't be distributed with Linux Mint. Installing it will help some things work properly. VIM is a powerful CLI (command-line interface) Text editor. I've used it for years. Highly recommended if you expect to edit text files in the console (despite the learning curve). Byobu is an insanely useful upgrade for your console. It's a text-based window manager with built-in Gnu Screen features (terminal multiplexing and session persistence), a useful taskbar, and other well-thought-out features. This means you can use hot-keys to switch among multiple terminal sessions and your sessions can keep running even when you're logged off. 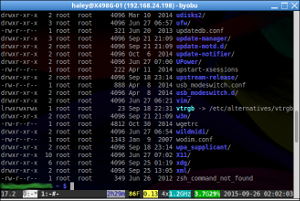 If you find yourself using the terminal very much at all, be sure to read up on Byobu and give it a try. Plank is a simple and useful desktop "dock". If you haven't used a dock before you're in for a pleasant discovery. A dock is a modifiable row of icons for managing your programs. It has icons for your frequently-used programs and other programs when they're running. You can use the dock to easily switch among running programs or even close a program without switching to it. Plank is tremendously convenient and easy to figure out because it's simple. Plank's far smaller and leaner than the alternatives, even Docky (a close relative). Plank provides exactly the features you'd want in a dock without a bunch of extra 'flying baloney'. Kudos to the developer(s) for an impressive achievement. This kind of thing is an example of what makes Linux exciting. You need to "add a PPA" (personal package archive) in order to install Plank because it isn't available from the default Linux Mint software sources like Docky is. Once it's installed, you need to configure your computer to run it at startup. Select Plank and click "Add application"
List View in Cinnamon's Nemo file manager is substandard. I nearly always use List View (& usually sort by date). Unfortunately the column-widths cannot be remembered in Nemo's List View. I searched around and found a good alternative File Manager: PCManFM, the default file manager for the LXDE desktop environment (now known as LXQt). It's attractive and easy to use. In short order PCManFM can be installed, configured, added to your panel and pinned into your plank dock. We'll install everything it recommends & suggests to ensure full functionality. All of that takes about 7MB of disk space. Add PCManFM to your panel. Add it to your dock, too. 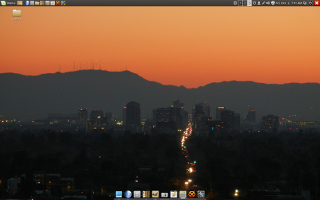 First start PCManFM, then right-click the icon in the dock (right-most icon) and select "keep in dock". In PCManFM, set the default to List View. 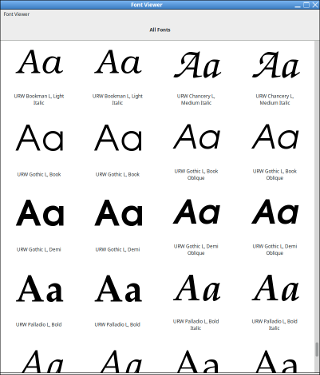 Here are some fonts you may wish to install. These fonts were provided by Microsoft "in the interest of cross-platform compatibility". This is no longer the case, but they are still available from third parties. You'll be prompted to accept the EULA. Use <tab> to select "Ok" and press <Enter>, then the left-arrow key to select "Yes". We'll configure the system to check for updates at login and every six hours. First, check for updates when the system starts. Check for updates every six hours; always show and select security updates. The Update Manager applet is the little shield-shaped icon next to the time (Calendar applet) in the panel notifications area. LibreOffice is a full-featured alternative to Microsoft Office that has all of the capabilities most people will need in an office-software suite. We'll configure LibreOffice to save documents in Microsoft-compatible formats by default so it "just works" with no fuss. Open any LibreOffice application (e.g. LibreOffice Writer) and set preferences. Text document Word 97, etc. Uncheck "Warn when not saving in ODF [...]"
Click OK when you've made all of the changes. Audacity is a program for recording and editing sounds. Audicity's capabilities can be extended using plug-ins. Audacity plus all four plugins packages only requires about 30mb of disk space. Preparing a computer so it "just works" requires some patience and attention to detail. There's more to do where this leaves off. You'll probably need to install a printer driver, for instance. This page is likely to evolve for a while. I'll give the whole process a run-through or two in the next couple of weeks.